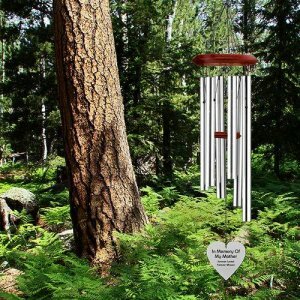 This beautiful Memorial Necklace for the loss of a mother features an 18" stainless steel chain, an angel wing, a pewter* "mom" hand stamped charm (about 1/2" inch), and a heart charm. 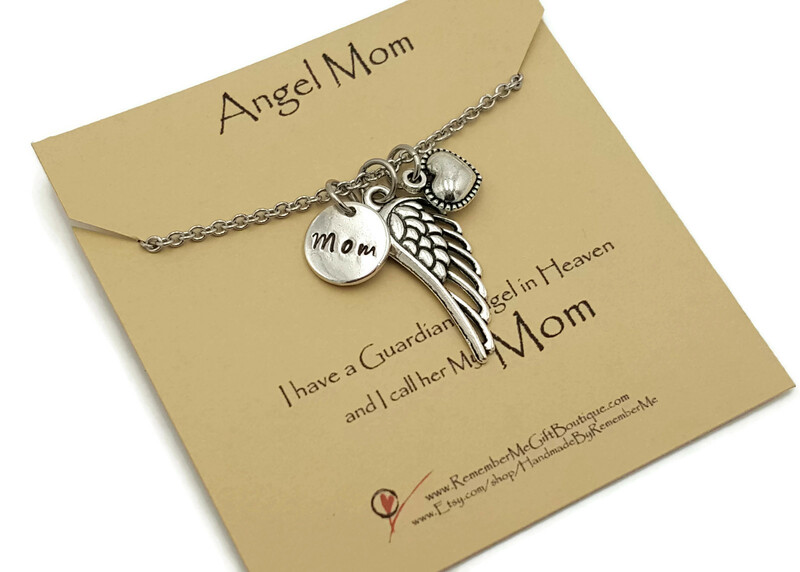 This necklace is packaged with a gift card "Angel Mom" and a gift box. 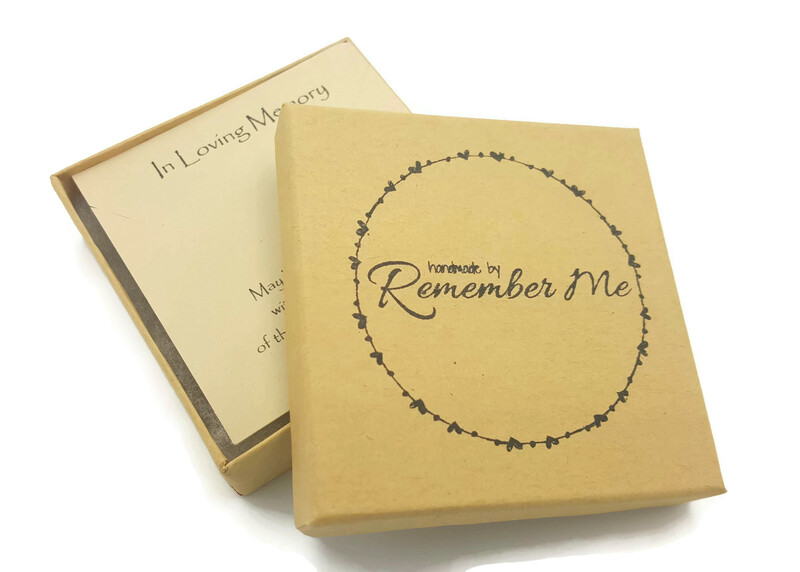 A perfect Memorial Gift Idea for someone who has lost their mom.